Reclaimed heart pine flooring may or may not be more economical than new heart pine flooring, depending on the condition it is in, but it’s much more ecological in the sense of not cutting new trees and keeping the wood out of the landfill. And depending on the age of the flooring, you may get lots more character from it than new flooring. Most homeowners probably don’t put much thought into whether the products that they choose for remodeling or building their homes is environmentally friendly, simply because they assume that it will detract from the beauty of the project. This is simply not true. There are many beautiful options to make your home more environmentally friendly. One of these options is including reclaimed heart pine flooring or another type of reclaimed wood flooring into your home What are some benefits to reclaimed wood flooring? 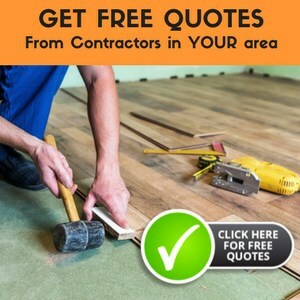 When using reclaimed heart pine flooring or another variety of reclaimed wood flooring, you are taking flooring from an older home, business, or other building that is being torn down and reusing it in your own home. By taking the old wood and using it in a new place, it not only doesn’t go into landfills but also avoids cutting trees for your new floor; that is very environmentally friendly. That is recycling! Just think about the wood flooring that is in older homes. The patina and great beauty of old wood is unmatched in the newer, freshly sawn wood. This is part of what draws many people to older homes. But you can add the same warmth and visual interest to your newer home, simply be using reclaimed wood flooring. Reclaimed heart pine flooring and other types of reclaimed wood flooring is not that expensive. If you are lucky enough to know of a place that is being torn down that has wood floors, it may only cost you the effort of removing it. There are many companies that specialize in reclaimed flooring that you can find from locations all over the world. The price is reasonable when compared to newer hardwood floorings, too. Just imagine being able to tell visitors and family alike about the interesting history behind your floors. They can come from some very historical places, including older homes, businesses, and warehouses. Adding history to a home can make it more interesting and fun. Wood flooring is very durable and reclaimed wood flooring can give you hundreds of years of additional use. It has already been used for many years, but that does not mean that it is worn out. It just means that it has a long record of use and durability to wear and tear. Reclaimed heart pine flooring and other types of reclaimed wood flooring are an excellent way to make your home more inviting and warm. It is also environmentally friendly, because it is reused, which is a wonderful benefit for the environment. If you have been looking for a budget-friendly, beautiful, and history-filled flooring option, consider reclaimed wood flooring. It will give your home a comfortable and rustic look that is unmatched by other types of wood flooring. When we first bought our house, and wanted to install hardwood flooring, this is the first thing we looked into. And were able to get a good amount from a town center that was being torn down. And after refinishing and applying the varnish, we were able to save a lot of money (installed it ourselves). After 20 years, it still looks wonderful. Save some money AND the environment….a definite win-win.